On this snowy Thursday afternoon, the sound of a beautiful trumpet drew me into the Jubilee Community Church at 33rd Street and 16th Avenue. 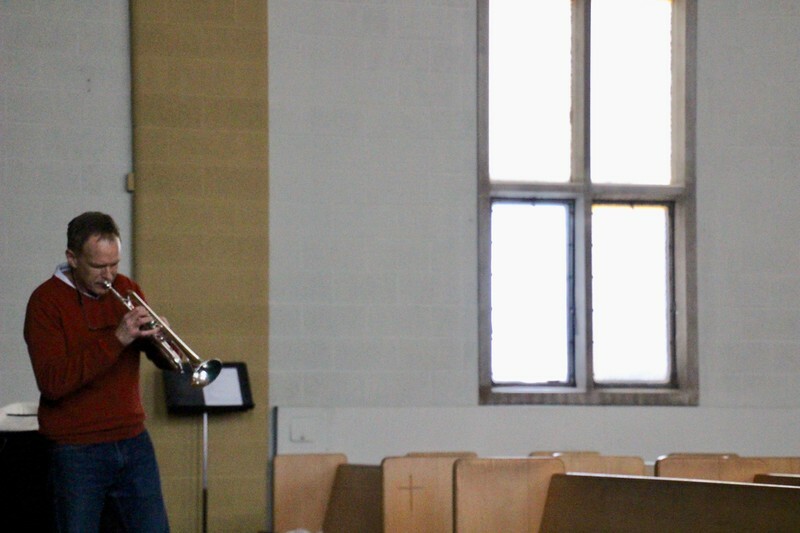 Inside, Dan, a member of the music ministry, was "worshiping with trumpet," something that he loves. Gift received.